For the rolls, the store was out of Hoagie rolls and sub rolls so I bought whole wheat Kaiser rolls and everyone liked them. Use whatever you like. Put the roast in the crockpot. Sprinkle dry soup mix over the top of the roast and add the beef broth. Put the lid on and cook on LOW for 10 hours. You may want to check it at 7 to 8 hours because your crockpot may cook faster/higher on the low setting than mine does. I put it in at 8 AM for a 6 PM dinner and that’s it. When it’s done, shred the meat with a couple of forks. Then I ladle the juice into individual containers for each person and split open the rolls. Butter the rolls and sprinkle lightly with garlic, add shredded beef, top with provolone cheese and broil until cheese is bubbly. Broil the rolls at 500 degrees until the cheese starts to bubble. Remove from oven and use tongs to lift the meat mixture onto the buttered side of the roll and top it with the cheesy side. Dunk the sandwich in the juice and enjoy. I personally think it would taste fantastic to spread softened cream cheese on one side of the roll. Preheat oven to 425 degrees F. Lightly coat cookie sheet with cooking spray. Unroll dough onto cookie sheet. Spread out dough into 14- x 12-inch rectangle; cut into 9 squares. Spread 1 teaspoon cream cheese spread onto half of each square, spreading within 1/2-inch of edges. Top each with chicken, broccoli, bell pepper and garlic. Fold each square into a triangle. Using a fork, press edges to seal. Bake for 11 to 13 minutes or until golden brown. Recipe and photo source, click here. In a large Ziploc bag toss steak strips with marinade and salt and pepper. Heat one tablespoon of butter and one tablespoon of olive oil over medium high heat. Place steak strips in skillet. Let the steak cook without stirring for 2-3 minutes to get a good color. Stir steak and cook 2-3 minutes more, remove from skillet and set aside. Heat the remaining one tablespoon of olive oil and add sliced bell pepper and onion. 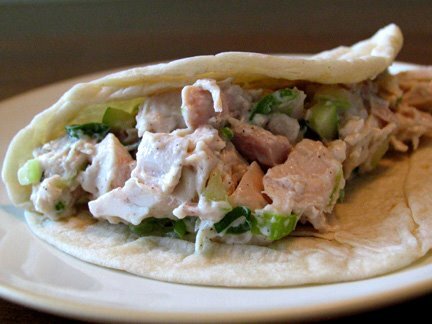 Let cook, stirring occasinally for approximately 5 minutes or until tender. Wipe skillet clean and reduce heat to medium. Spray skillet with cooking oil and heat tortillas one at a time just until lightly brown and easily flexible. Assemble by adding one slice of cheese, steak slices, bell peppers and onions on each tortilla, wrap tightly. Slice and serve. In a large nonstick skillet, heat the olive oil over medium-high heat. Add the garlic and cook for 20 seconds, then add the mushrooms and chili powder and saute, stirring occasionally, for 5 minutes, or until mushrooms are light golden and most of the juices have evaporated. Add spinach and stir until wilted, then add the black beans and jalapenos (if desired) and stir well until combined. Season with salt and pepper, transfer to bowl, and set aside. Wipe skillet with paper towel and set aside. Reheat the skillet over medium heat. Place one of the quesadillas in the skillet (add a second one if it fits) and cook for about 3 minutes on each side, or until the cheese melts and the inside is warm. Continue to cook the remaining quesadillas. Serve promptly. 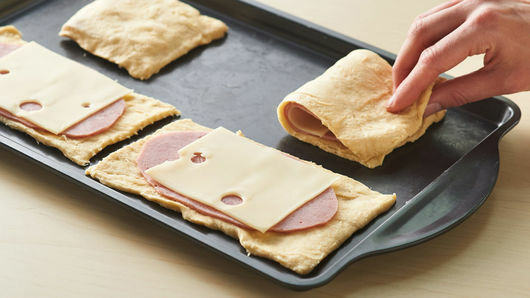 2 If using crescent rolls: Unroll dough; separate into 4 rectangles. Firmly press perforations to seal. On ungreased cookie sheet, press or roll each to form 7×5-inch rectangle. 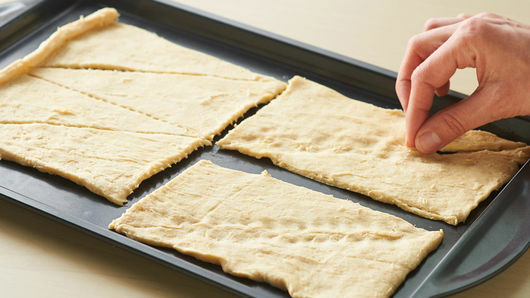 If using dough sheet: Unroll dough; cut into 4 rectangles. On ungreased cookie sheet, press or roll each to form 7×5 inch rectangle. 3 Place one ham slice and one cheese slice on each rectangle. For each rectangle, fold dough in half over filling; press edges firmly to seal. 4 Bake 9 minutes or until golden brown. Put the meat and broth in the slow cooker for 10 hours. Shred it and then add 1 1/2 bottles of barbecue sauce and reheat in the oven. Make a sandwich, placing a slice of cheese on both pieces of bread. 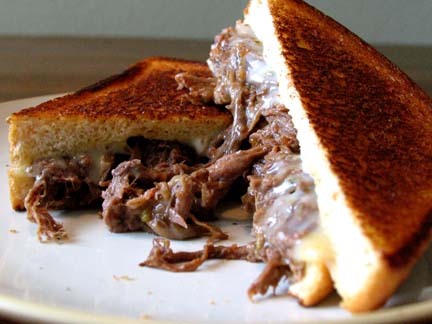 Place the roast beef, brisket, whatever in between the cheese. Butter both sides and grill for about 2-3 minutes on either side. Combine everything in a bowl … add more mayo, salt, pepper … to taste. It’s delicious with the broth!! Prepare the beef by searing the roast, seasoned with garlic salt, on all sides. Place the roast in the crock pot with jar of salsa dumped on top. Cook on high for 5-7 hours … until the beef begins to pull apart with ease. Remove beef from pot and allow it to rest on a cutting board for at least 10 minutes before shredding it. Shred beef using 2 forks. 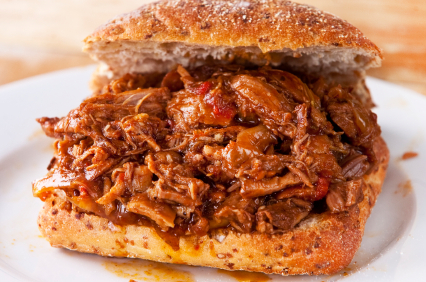 Place shredded meat back in crock pot to soak up salsa juices. Unwrap the crescent rolls and place a good portion of meat on the middle and pile grated cheese on top. Roll pastry until each end touches and seals. Place on greased cookie sheet and bake at 375 for about 12 minutes. Unroll pie pastry. Using a large cup or small bowl, cut out circles of dough. 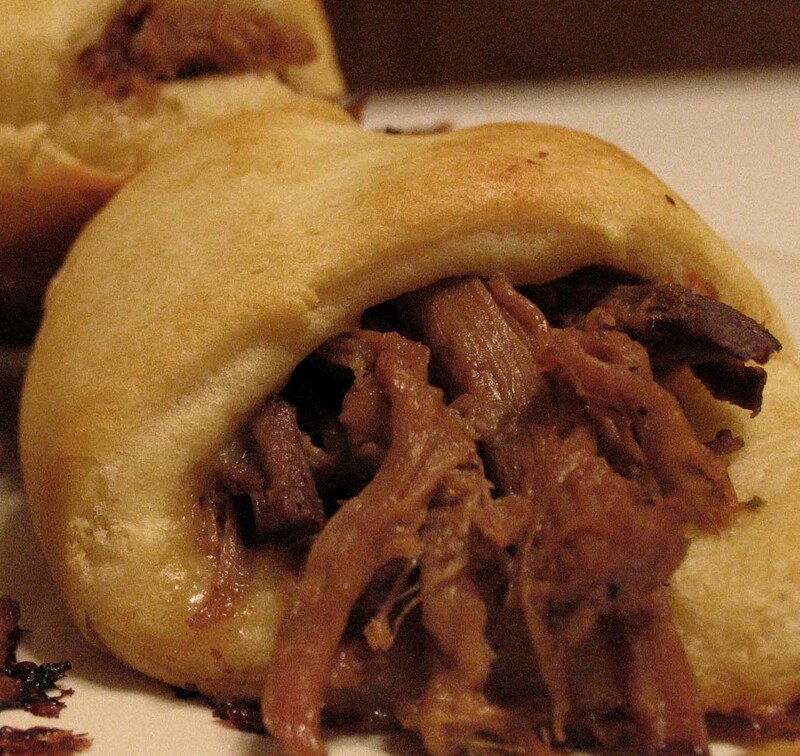 Place a pile of meat in each circle and a little cheese on top. Dab the edge of one side of pastry with water. Pull the other side over to meet the damp edge and seal. Place on greased cookie sheet. Bake at 375 for about 12 minutes.